Protecting our bones is obviously important, but figuring out exactly how to do that in terms of our diet can be confusing. With that in mind, I contacted a few bone experts to give us the highlights and answer some of the more frequently asked questions. This is the first of a two-part series about the impact of nutrition and diet on bone #health. The first part deals with general bone health and the role played by calcium. The second part focuses on other foods and nutrients that help or hurt bone health. What is osteoporosis, and what does it do to our bones? At what age do our bones start to deteriorate? Our bones reach their peak level of density (or mass) in the mid-20s (on average), says Dorothy Teegarden, Ph.D., a professor of nutrition at Purdue University. “Roughly after age 35, both men and women start to lose bone at a slow rate of 1 to 2 percent per year. This bone loss is accelerated in women around and after menopause to about 5 percent per year for five to seven years, and then the bone loss in women returns to a baseline of 1 to 2 percent per year. Men don’t go through the accelerated menopausal bone loss but continue to lose bone at the rate of 1 to 2 percent per year,” says Primal Kaur, M.D., director of the Osteoporosis Clinic at Temple University School of Medicine in Philadelphia. Is osteoporosis mostly a female problem? It’s true that osteoporosis is less common in men than women, because men start out with more bone density than women and do not go through menopause, which accelerates bone loss, says Rao. But after age 65, men and women lose bone at the same rate. By age 75, one-third of men have osteoporosis as do a third of women. What is the bone-calcium connection? What is the link between estrogen and bone health? Estrogen is important in maintaining bone mass in adult women; in part it slows bone remodeling (replacing old bone with new bone). And while bone remodeling is normally a good thing, it takes place over weeks and months. Therefore, it leaves a woman more susceptible to bone fracture — estrogen helps to slow this process down. So basically, the estrogen maintains the proper balance between the activity of bone-forming cells (i.e., osteoblasts) and bone-resorbing cells (i.e., osteoclasts). Are low-fat dairy products much higher in calcium than whole-milk products? 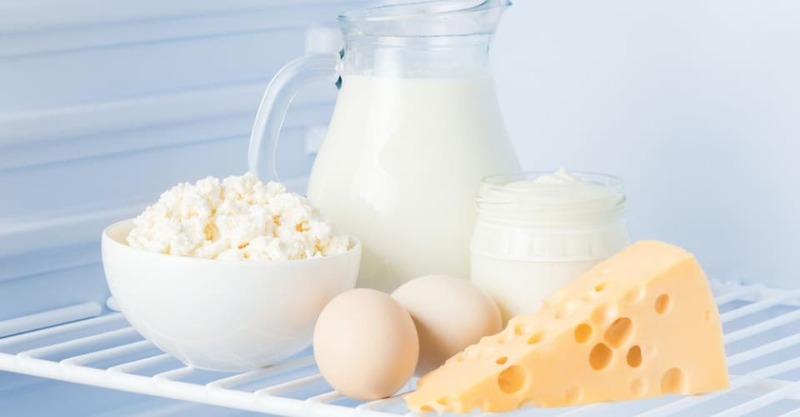 What are the main sources of calcium in our diet? Certainly dairy, but make sure to go with low-fat or fat-free versions of yogurt, cheese and milk. Nondairy sources include soybeans and tofu, bok choy (Chinese cabbage), broccoli and green, leafy vegetables such as collards, kale, mustard greens and turnip greens. Salmon and sardines canned with their soft bones are good sources, as well as shellfish, almonds, Brazil nuts and dried beans. Do spinach and peanut butter deplete calcium absorption? They do not “deplete” calcium absorption; however, they contain oxalate or oxalic acid, both of which combine with calcium to form calcium oxalate and thus prevent its absorption, says Kaur. In fact, “Calcium in spinach is absorbed at a very low efficiency (about 5 percent) compared to 30–60 percent absorption of calcium from other sources,” adds Teegarden. What about the link between soft drinks (diet and regular) and poor bone health? 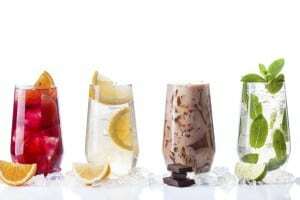 One of the biggest problems is that soft drinks replace intake of milk, which is a good source of calcium. Additionally, carbonated drinks have a high phosphate content, “which binds calcium in the bowel and reduces the absorption,” says Freeman. Phosphate also forms acid in the bloodstream. “Calcium is then released from the bone to maintain the calcium-phosphate balance and to counteract the acid in the bloodstream,” says Kaur.